Buckeye DAMA Q4 Meeting – December 7th. Data Governance has come to mean many things based on why it exists, what it is charged to accomplish, who initiatives and drives the effort, and where the data governance resources reside. This session will revisit the foundational components of data governance, the activities of a data governance organization, and the integration of data governance into the processes of your company. This perspective has been built over the last ten years spent with clients in the trenches of data governance and data management. The goal of this session is to generate awareness on data governance and provide some insights on how you can make data management and data governance more effective at your company. Mark Plessinger: is the founder of INKU, a data governance and data management consulting firm based in Columbus, Ohio. 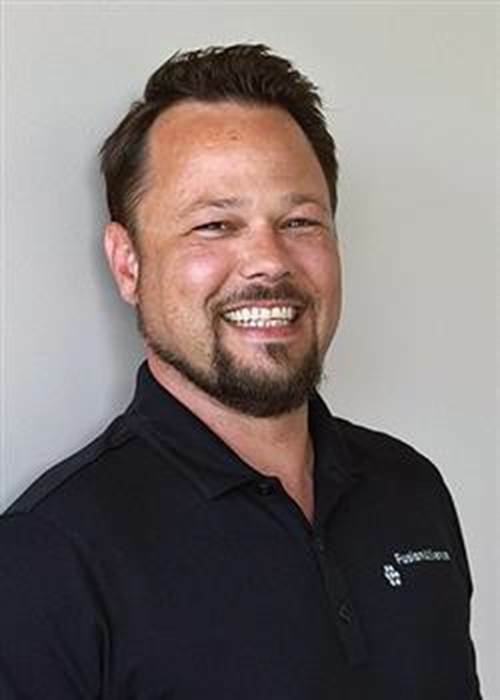 He has over 20 years of experience in business and IT with the last 10 years focused on data governance and data management. Mark founded INKU because he knows that data governance can be a profit center for an organization and should be responsible for ensuring that data becomes a strategic asset for the company while reducing risk. His expertise includes defining and implementing new governance practices as well as revitalizing governance organizations that have stagnated or failed previously. business. That belief drove her to focus on data governance, assisting organizations in successfully developing and implementing data strategies. Buckeye DAMA: Next meeting, Sept 21st. Our next meeting will be at the Expedient Conference Center, 5000 Arlington Centre Boulevard, Upper Arlington, OH on Sept 21st. Change, please note – Dave Kuhnau will be presenting at a future meeting. Presenting at our meeting Sept 21 will be Austin Zellner of MongoDB. MongoDB is the leading NoSQL database in the world, but the concepts to run it at an enterprise scale are fundamentally different than those that apply to running relational databases. In this talk, Austin will wander through the fundamentals of MongoDB, talk to how to design for scale, ramble about enterprise design patterns, and happily talk through questions. By the end, the audience should be armed and dangerous to begin thinking about production projects running on MongoDB Enterprise Edition. Austin Zellner is a Senior Solutions Architect at MongoDB, supporting the Ohio Valley Region. Based out of the Akron area, Austin was a developer for 15 years before becoming a solutions engineer, roving the land with whiteboard markers in hand. Please join us to learn more about this open-source database system. Thanks to David Marco for presenting to the group and to all attendees for helping create an engaging, informative, and entertaining meeting! The presentation has been posted to the past presentations page. Watch this page for information about upcoming meetings and other Buckeye DAMA related news. Please join us for our fourth quarterly meeting of 2016. Effective metadata management is no longer an option, but an absolute requirement for corporations and government agencies looking to enable their master data management and data governance initiatives. Companies have realized that without metadata their IT departments cannot manage their systems and their systems are not providing true value to the business end user. Organizations are implementing managed metadata environments (MME) to provide them an enterprise metadata management solution. This practical course leverages the lessons learned from companies that have successfully deployed MMEs. The case studies demonstrate the importance of having a methodology for defining metadata requirements, capturing and integrating metadata, MME architectural components, how to calculate ROI, advanced metadata architectures and case studies. NOTICE: There was a typo in the details on the previous page. Our speaker will be David Marco. Different problems require different tools for solving them. Everyone has a hammer and having a toolbox full of differently sized hammers is not the best approach. As data needs morph from “a single source of the truth” to “a single source of the truth based on a particular perspective”, understanding the best tool for each of those perspectives is key to providing the best access and understanding to those data needs. In this presentation, NoSQL (or schema-less) data stores will be discussed and how each of them is targeted towards specific problems. Additionally, we will examine architectural traits of systems than lend themselves to distributed data and how NoSQL can help implement those types of designs. William Klos is a Senior Architect and Centric’s National Cloud Services Lead. Bill’s career has spanned many aspects of computing and at times has architected solutions from the perspective of data, networking, enterprise, and security – but is primarily an application architect. Most recent experience has him providing solutions around Mobility, Cloud, and Big Data architectures as well as API design and development. Bill has been involved with technology since abandoning his desire to be a real architect and stumbling into his first computer science class in 1985. Since then he has typically pushed companies into “what’s next”. Agile approaches to software development have flourished under object oriented approaches to software. Being able to deliver business value frequently (monthly, weekly, daily) has been made technically possible due to continuous integration, unit test frameworks, smaller pieces of code, collective code ownership, and frequent refactoring. Moving in the same direction is possible within data warehousing environments, but presents different challenges. Mike Kaiser has been involved in Columbus area IT for 15 years. He is an Agile Coach and Data and Analytics Lead at Centric Consulting. He also serves on the board at the Central Ohio Agile Association (COHAA). Mike’s career has been about maximizing business outcomes via IT, and his passion to bring lightweight and collaborative software approaches to teams has resulted from that.